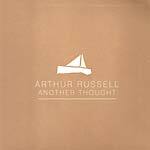 "Four years ago, Audika Records began releasing the exceptionally varied, long sought-after music of Arthur Russell, and in the process has succeeded at helping the beloved, late artist find the broader audience he always believed he would reach. A new generation of listeners and critics has come to appreciate Russell as a visionary and an influence upon a broad range of today's most compelling musical artists. Now, Audika will bring to light an as-yet-unavailable side of Russell's body of work -- the most rare and, at the same time, arguably the most accessible part -- in Love Is Overtaking Me, which comprises 21 demos and home recordings of unreleased pop, folk and country songs from his vast catalog. While much critical and popular affection for Russell's music has come about well after his untimely death from AIDS in 1992, many fellow artists believed in his genius and were drawn to collaborate with him during his lifetime. The legendary producer John Hammond (Billie Holiday, Bob Dylan, Bruce Springsteen) recorded Russell on several occasions; a number of these recordings will finally be heard on Love Is Overtaking Me. So, too, will songs recorded with various incarnations of The Flying Hearts, a group formed by Russell and Brooks whose shifting line-up included, by turns, Jerry Harrison, Rhys Chatham, Jon Gibson, Peter Gordon and Peter Zummo as well as Larry Saltzman and David Van Tieghem. Several other Russell projects are represented on Love Is Overtaking Me, including The Sailboats, Turbo Sporty and Bright & Early. Compiled from over eight hours of material, three years in the making, Love Is Overtaking Me reaches back further to Russell's first compositions from the early '70s and spans forward to his very last recordings, made at home in 1991. Chris Taylor of Grizzly Bear contributed mixing, restoration and editing to the album, whose tracks were selected by Audika's Steve Knutson, Ernie Brooks and Russell's companion, Tom Lee. A number of the songs feature prominently in Wild Combination: A Portrait of Arthur Russell, Matt Wolf's film, which had its world premiere this year at the Berlin International Film Festival and will be released theatrically and on DVD by Plexifilm. 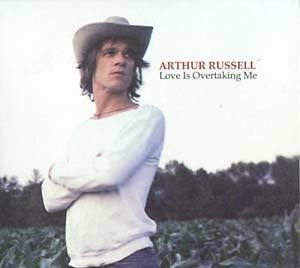 Love Is Overtaking Me is the fifth release of Russell's material by Audika Records, whose work has proven that the music remains as contemporary today as when it was first recorded. The label launched with the disco/new wave collection Calling Out Of Context (2004) and continued with a reissue of the cello-and-voice masterpiece World Of Echo (2005); the instrumental compositions double-disc First Thought Best Thought (2006); and the hip-hop-inspired Springfield EP (2006), which includes a DFA remix of the title track. Extensive Love Is Overtaking Me liner notes by Tom Lee provide an intimate perspective on Russell's diverse catalog, which spanned an extraordinary diversity of styles and won the love of artistic communities that would seem utterly disparate, from Philip Glass, John Cage and Allen Ginsberg to rock bands like The Talking Heads and The Modern Lovers; the pre-Studio 54 disco-party scene of Nicky Siano's Gallery and David Mancuso's loft; and DJ-producers like Francois Kevorkian and Larry Levan, among others."